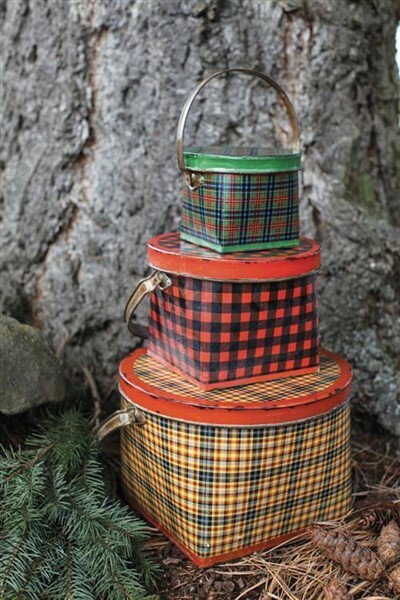 Fun collection of vintage look plaid buckets with handles and lids! 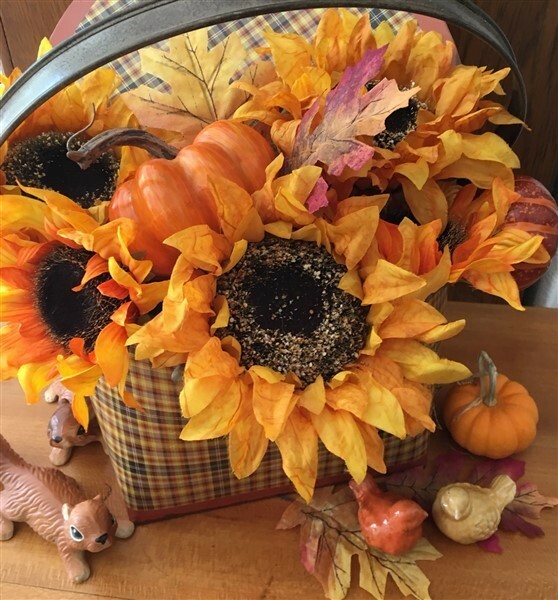 Great for holiday gifts by themselves or with a special gift tucked inside. They are approx 11"d x 7.5"h, 7.75"d x 6"h & 5.25"d x 4"h (not including the handles, which fold down). Choose your favorite or all three. Sorry all accessories in photos are not included, just the buckets and lids.